For a Brampton homeowner planning to get window replacement, energy efficiency is probably a familiar topic. However, many people are not as familiar with the differences that make one energy efficient window better than another. The experts at Brock Doors and Windows have gathered some of these details together, in order to help you choose the best energy efficient windows for your Brampton, Ontario home. Perhaps the best way to choose a truly energy efficient window is to get a basic overview of the window styles available. Of course, with the right glass options, any style of window can be moderately energy efficient. However, there are three certain styles that provide exceptional energy efficiency. At the top of the list is the fixed-pane window. 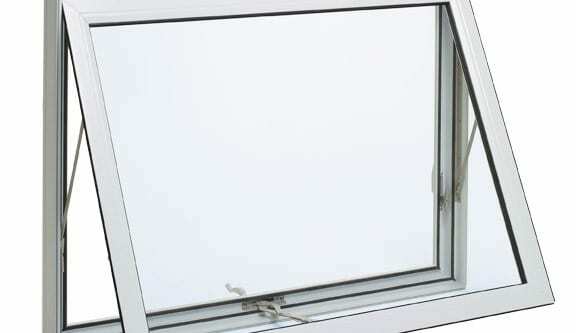 This window style doesn’t open, and it is well-sealed around the edges, which keeps the air from penetrating the window. Fixed windows are super easy to keep clean. They are built with double or triple gas-filled panes, which boosts their energy efficiency even further. Casement windows come in second to fixed windows for energy efficiency. Casement windows feature hinges on one side, much like a door. Typically, they have a crank that opens them outward. Casement windows are a convenient choice for difficult-to-reach places, like over sinks and counter-tops. They are popular, today, in new construction as well. Coming in at third place is the Awning window. This style of window has a lot of similarities to the casement window, all except for one special feature: Awning windows have hinges on the top and open outward. Awning windows have built-in ultra weather-tight properties. This gives them an impenetrable seal which protects against outside weather. Another good method for ensuring that windows are energy efficient is by reading official NFRC labels. The window labels provided by the National Fenestration Rating Council are a quick and surefire way to determine the energy performance of the windows you are considering. The ratings on the NFRC label include measurements for air leakage, condensation resistance, as well as gain from solar heat. The first of these ratings is called the U-Value. The lower the U-Value, the better the window is at holding in heat. This is particularly important for our cold Toronto winters. The Solar Heat Gain Coefficient (SHGC) measures how well a window blocks unwanted heat. In this case as well, a low rating is best. The VT (Visible Transmittance) rating shows how much light can pass through a window. The higher the number, the more light can get through. The Air Leakage (AL) rating will tell you how much outside air can get inside a window. Choose a low number for keeping the most air out. The last rating to check is the (CR) Condensation Resistance, which determines how resistant a window is to condensation. The higher the number, the better the window is at keeping moisture away. Here at Brock Doors and Windows, we recognize the importance of energy efficiency, and that’s why you will find only the best quality products in our selection. For over 26 years, Brock Doors and Windows have been helping homeowners just like you, achieve their window replacement dreams. We can’t wait to assist you with your windows replacement! You can count on us to help you make your home as beautiful and energy efficient as possible. Don’t hesitate to give us a call today.